The Team Mansell system was once a one-man team owned and initially operated by an online marketer named Michael Mansell. The system promises to give its investors a simple and fast way of earning a daily online commission that ranges from $500 to $1,000 even if you just started today. 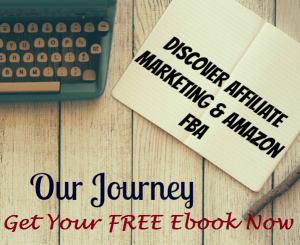 His system offers different varieties but the majority of them claim to help you earn “instant” commissions just by signing up. Let’s see if the “team-rotator” system of Team Mansell actually works or will just leave you hundreds or thousands of dollar poorer. For those who have been victimized by online platforms with fake owners or actors, let’s make it clear that Michael Mansell is a real person who has been very successful in being an online marketer. And his claim is that the Team Mansell System is formed to aid “ordinary” people discover their success online. Though it may bring good news that Michael is real, his reputation may say otherwise. He is known to promote several “scam-potential” kinds of programs which include Easy 1 Up, Digital Altitude, Duplicate Dave, The Big Profit System, and ICoinPro. In fact, FTC has shut down Digital Altitude as it was deemed to be a pyramiding scheme. So basically, his programs can really make money for the members, but it usually involves signing up and earning money by getting recruits and let them repeat the cycle. These programs may not be considered as total scams but online-earner wannabes should still think twice before signing up. The issue with these platforms is that they make the people believe that earning money through their systems is easy-breezy but most of the time, it turns out to be harder once you get in. But Michael claimed that this loophole in the said programs, where there is a lack of training the investors to convince other people to join, can be “fixed” by using his system. Though it seems that Michael Mansell genuinely wants to try and help people by offering his system, let’s take a look at what does the system really offer. 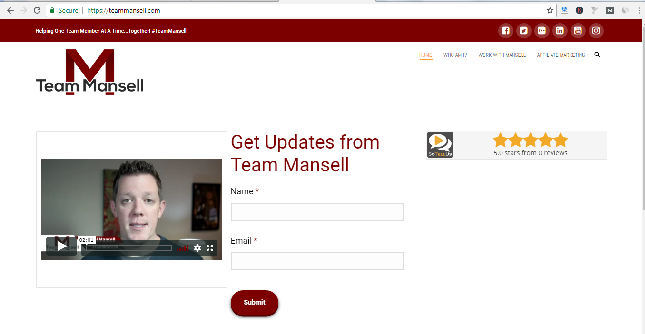 The Team Mansell is a system wherein the owner claims to give you valuable training on successfully finding people to invest coupled with innovative sales funnels that are also affiliated with his programs. Though pestering your Facebook friends can be useful in finding recruits, it will not be handy if you are looking to earn through these programs for a long period of time. The concept of the system is that you will need to sign up to the Team Mansell system, Michael will then let you join one of his programs mentioned above, connect your affiliate link to their system, and you will ten promote the system you’re in and get people to do the same as you do. Michael believes that by promoting his system you will get the chance for better and more conversations with different people online. The process will then later duplicate its members and earnings with the intense promotions of his system. Duplication can be very effective in earning huge money in network marketing but it is the most difficult method to use. Another deal that Michael provides his investors is an access to his team’s traffic rotator. 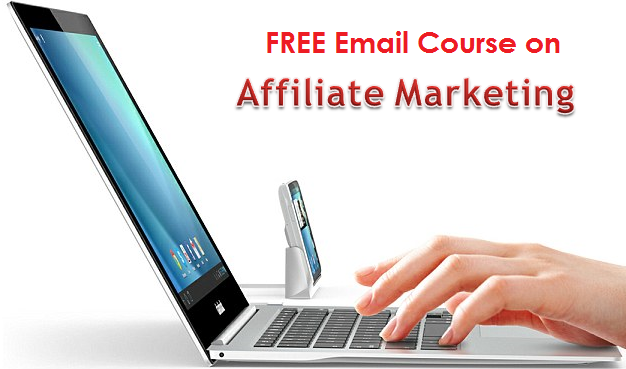 It means that even without doing any work, you’ll easily get free sign-ups from time to time. The team rotator can be very appealing to members but it’s only a gimmick that lures you to sign up. Just think of it this way, the more investors signing up the less traffic you will get. It was only beneficial to the initial investors but now that its members are far too many, you will only get a traffic out of luck. Though additional training is said to be provided by the system and it will give you more chance of earning money than just signing up to one of his programs, it might not still be useful for some as they’ll probably still end up struggling to get started. The Team Mansell system is not a scam since it gives its investors the potential to earn money and what it does is just promote other programs. But its way of promoting the owner’s different programs is quite “dubious” since most of these programs are “scammy” and only attracts people to invest money by making it sound easy to earn money through them. One more thing is that these programs aren’t cheap. Before you can even start earning, you will have to spend thousands of money only to find out in the end that you have to convince people to join for you to make money too. So if you are looking for opportunities to earn using online platforms, it will be better to look for a different program that is legit, honest, and not “scam-potential”. 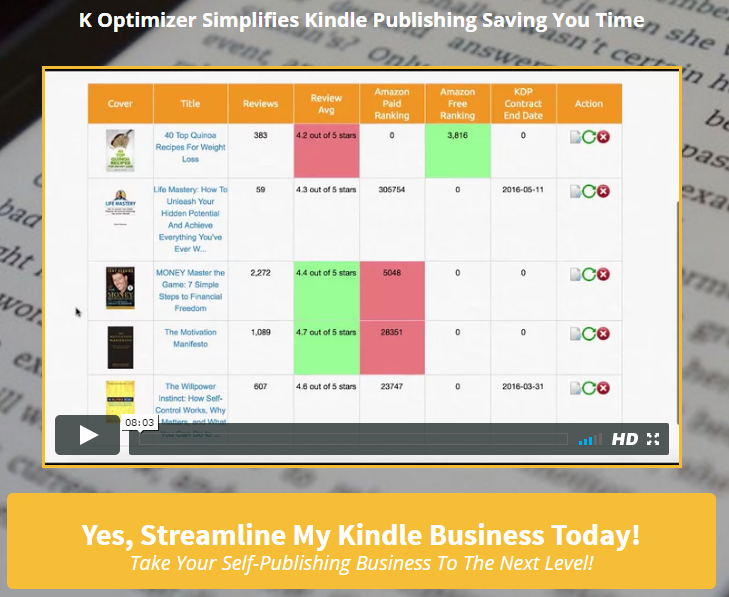 K Optimizer Review – Is it Worth Your Money?